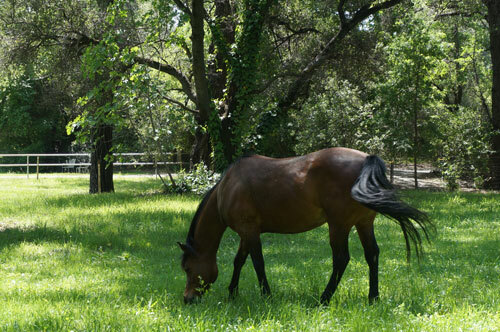 From the moment you enter the ranch, we hope you sense that we specialize in caring for horses. 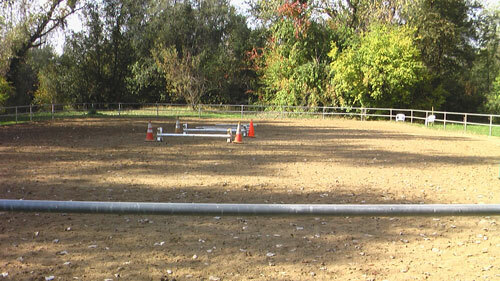 The Boarding Place is set up to be a safe, secure haven especially for Retired Horses. 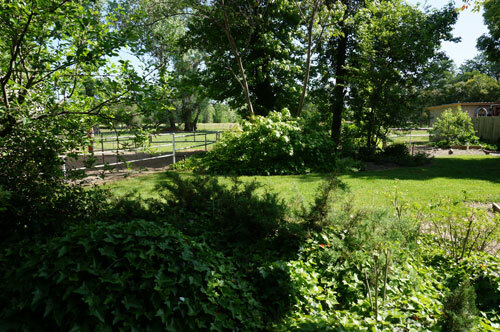 The Boarding Place is a complete horse facility nestled in the Lincoln/Newcastle foothills with a serene park atmosphere and beautiful shaded grounds. "Permanent Pastures for Turnouts Year Round"
Our boarding facility is geared for retired horses as well as pleasure horses. 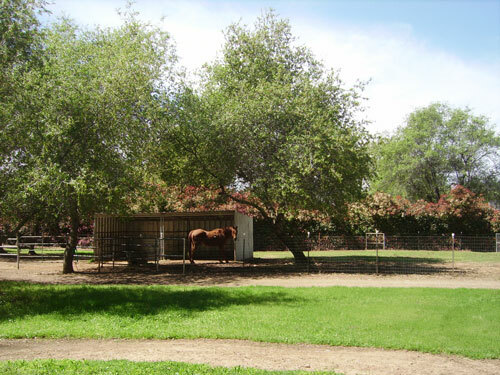 Our atmosphere is one of the total serenity and relaxation -- the horses love it. 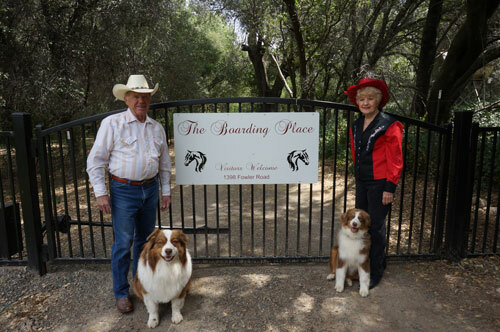 We are proud of our horse boarding facility! This is indeed a special place for the pleasure and retired horses.